43 hotels with a sea view are waiting for you in the Basque Country. Bathed by the Atlantic Ocean, the Basque Coast is rocky and rugged and very beautiful with the Pyrenees in the background. At the seaside you can find many beaches and ancient whale fishing ports converted to tourism. 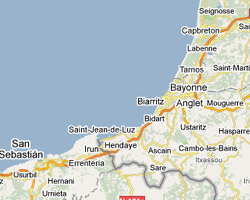 Biarritz and Saint-Jean-de-Luz are the most famous seaside resorts. It is also a high place of surfing. 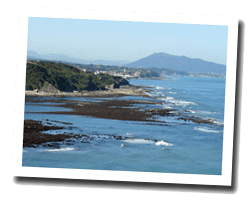 On the Basque Coast enjoy the pleasure of a sea view hotel.